The Chrome beta for Android updated to version 28.0.1500.31. The new version not having many new features but it comes with various stability improvements and bug fixes. 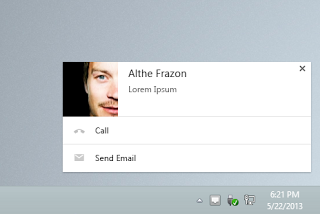 Recently Chrome beta 28.0 released for Desktop users with richer app notification with a revamped user interface. "We’ve designed these notifications to be beautiful, useful and engaging. They can display formatted text and images, and can include actions directly inside the pop-up (so you can respond to that email right away)." Click on this link to download Chrome beta for Android, keep in mind you cannot find it Google Play search bar.